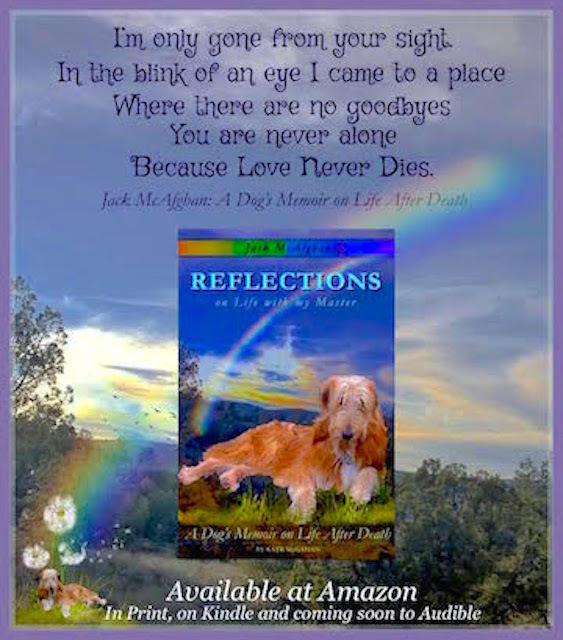 Kate McGahan: Life is the School Love is the Lesson: Special Sale for our Readers! Just $5.99 for a Limited Time! For less than the cost of a nice greeting card, you can give a great book that will heal the grief in a matter of hours. Jack is the best four-legged counselor in the universe, and he can do it in ways no one else can. Find us on Amazon Worldwide. Also available on Kindle and in Large Print.